The Quad 405-2 is revered by many, even 40 years after its release. It’s not hard to hear how the 405-2 does an amazing job of getting out of the way and just playing the music. This is a truly special amplifier, don’t let the understated English looks fool you. This amp is a Quad 405-2, but the 405 and 405-2 are quite similar. They are masterpieces of clever, understated design and showcase the less-is-more approach of Quad’s legendary engineer, Peter Walker. 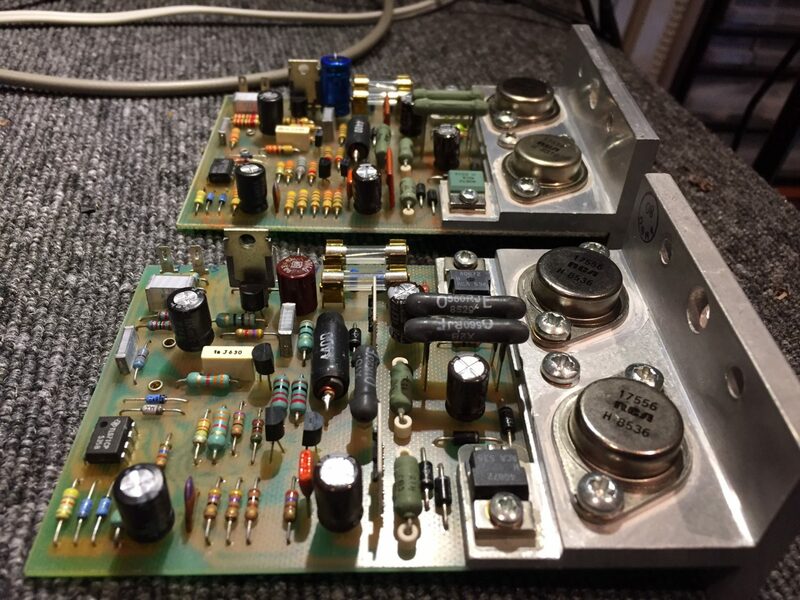 I can’t think of a mainstream commercial amplifier with fewer parts than the Quad 405. Sure, there is an IC in the front-end to keep the parts count down, but the driver stage is just two TO-220 devices operating in class-A. The output stage is another two N-channel TO-3 devices per channel. No complimentary pair mismatching here. The driver and output transistors are thermally coupled to a block of aluminium. They are board-mounted, eliminating wiring. Add a sprinkling of passive components of very high quality and you have the elegant simplicity that is the Quad 405 amplifier module. Much has been written about the remarkable Quad 405, and I’ve written a fair bit myself. Check out my review of the Quad 405 / 405-2, and another article I wrote about 405 standard servicing. There are a great review and some background info, here. One of my favourite resources is Keith Snook’s fantastic Quad repository. Keith breaks things down into two large and very detailed 405 pages. The first covers the original 405 and its various iterations, the second covers the 405-2, and its various iterations. Keith’s site is a wealth of information and you’ll also find the service manual along with all revisions and parts lists, very handy indeed. OK, so what did I do to mine? I tend to utilise a similar, less-is-more approach to my work, not senselessly changing parts that are perfectly good. To that end, transistors, resistors and most other parts remain factory. Quad used excellent quality parts in most places and most are perfect, so why change them? My 405 needed of some TLC though. The seller told me it was ‘restored’ so I was keen to see what that actually meant. Restored means something very different to me obviously, I guess this is why I have so many customers, but in this context, it’s annoying. 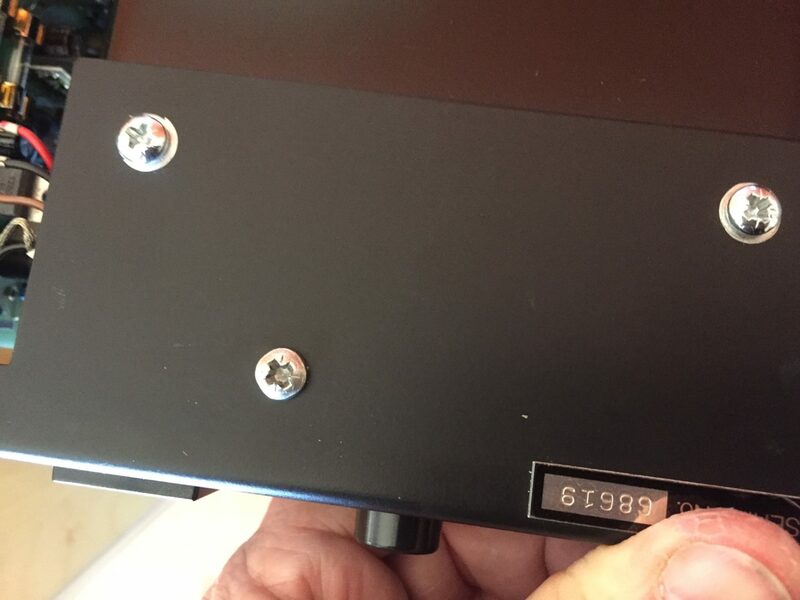 The amp was also damaged during shipping. I claimed for this through eBay and was refunded the full purchase price. Apart from that, mine has two different amp modules, one version apart. Quad made something like 10 revisions of the 405/405-2, improving them as they went. This is of no real consequence in a dual mono amp like this, and I’ve since acquired a matching module, but an original must have blown up at some point. Quad had a simple repair policy – order a new module and screw it in place, job done. So far, so good. 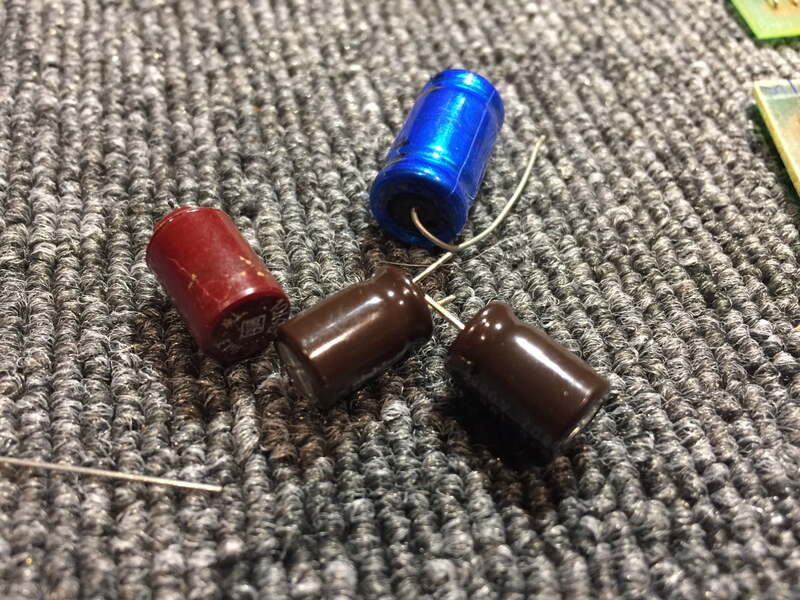 Original filter capacitors could do with changing and see if you can spot the non-original, but old axial electrolytic cap. Note the neat, typically British, wiring loom. There she is. Some caps have been replaced, but others are original. Not great for a so-called ‘restored’ amp! I removed the diode bridge and applied some thermal paste before securing back in place. First board, note the unpotted protection modules, original RCA output devices, messy thermal paste and original ERO capacitor. 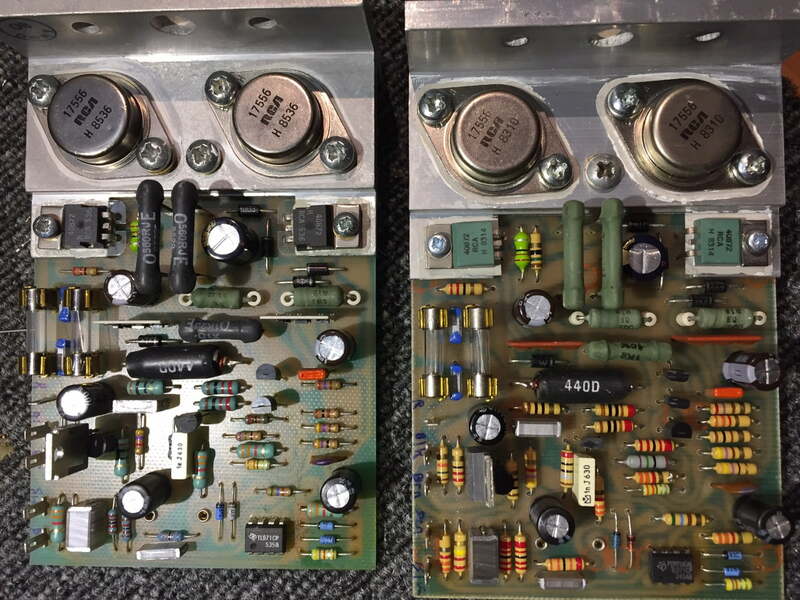 But what a great layout – almost no wiring, drivers and output transistors thermally coupled and just a small number of really good quality parts. You can see why these are so lovable from technical and design standpoints. 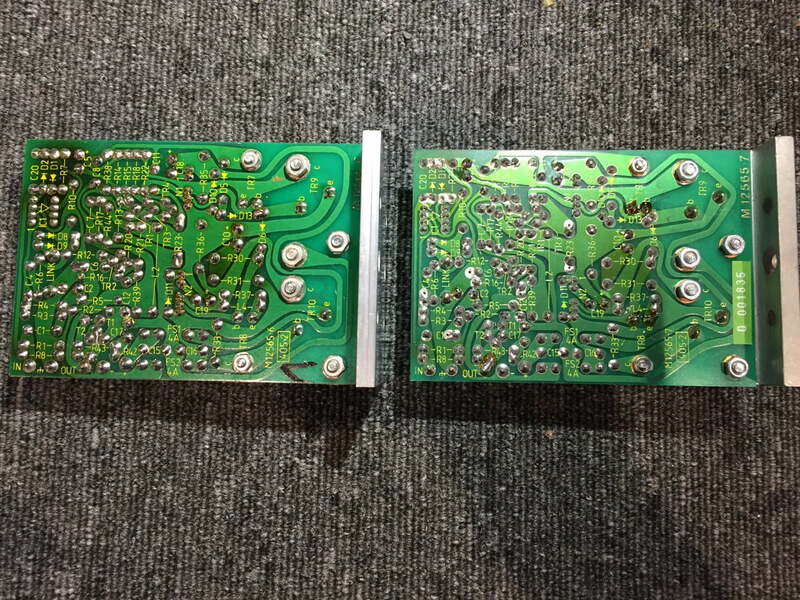 Back of the boards reveals some factory markings and a slightly different trace layout between versions 6 and 7. This design is so simple and elegant, I really love it. While version 7 board devices are from 1985, all RCA. And in with some lovely Nichicon MUSE bipolar caps to replace these terrible Capxon Chinese parts. I also use Panasonic, Nippon-Chemicon and Elna parts in restorations like this. They look great and, more importantly, sound seriously good too. Honestly, MUSE bipolar are the only bipolar electrolytic caps you would use here. Next, I decided to bypass the main filter caps. 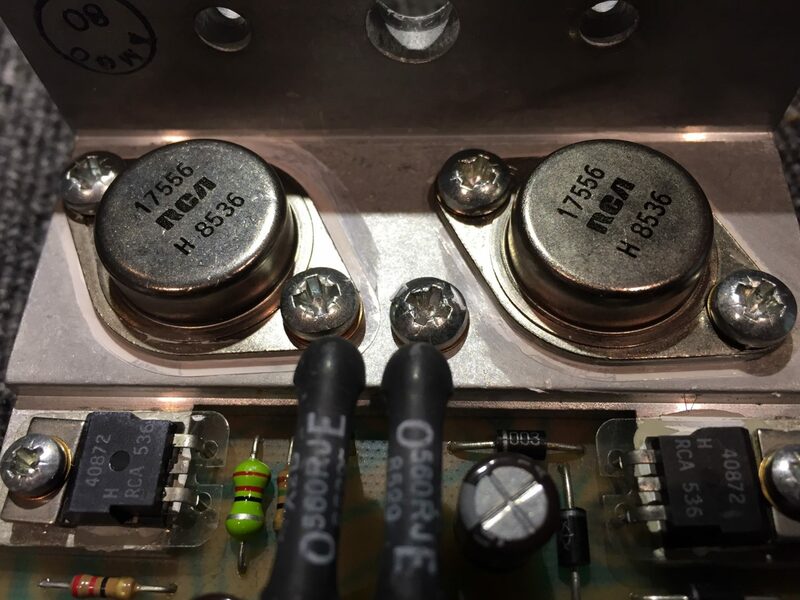 I used some of my military-grade Siemens film caps and used the 405 like this until I replaced the main filter capacitors. 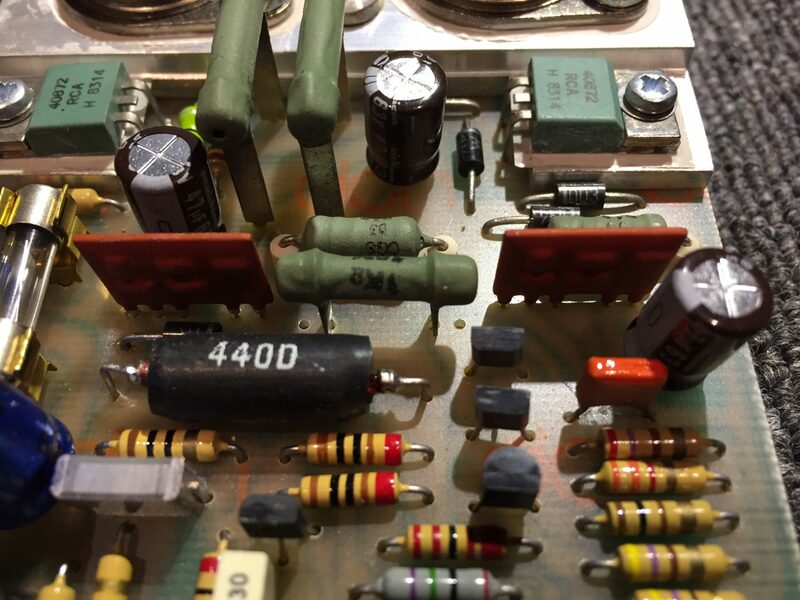 The 405 sounded much better after replacing the old board-mounted capacitors. 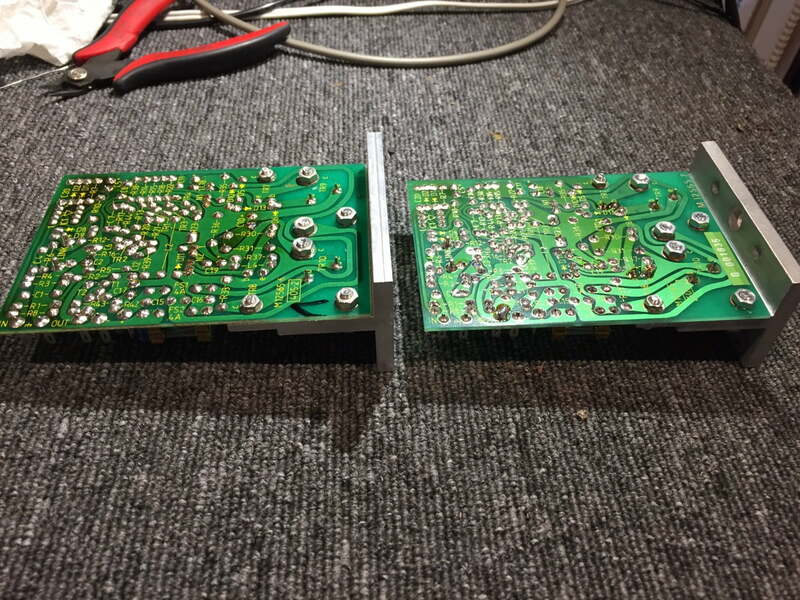 I initially decided against changing the TL-071 op-amps for a number of reasons. Firstly, I’m against the forum-driven, non-scientific craze of just swapping op-amps because someone said they should sound better. What’s better, and smarter, is to try to understand the reasons behind the choices originally made. Then one can see if there is a better, modern replacement. For noise performance, low DC offsets and low distortion, the FET input TL-071 is an excellent choice, and still a great op-amp, despite what you might read. The TL-2071, is an excellent modern replacement and I can verify that in this amplifier they make a significant difference. 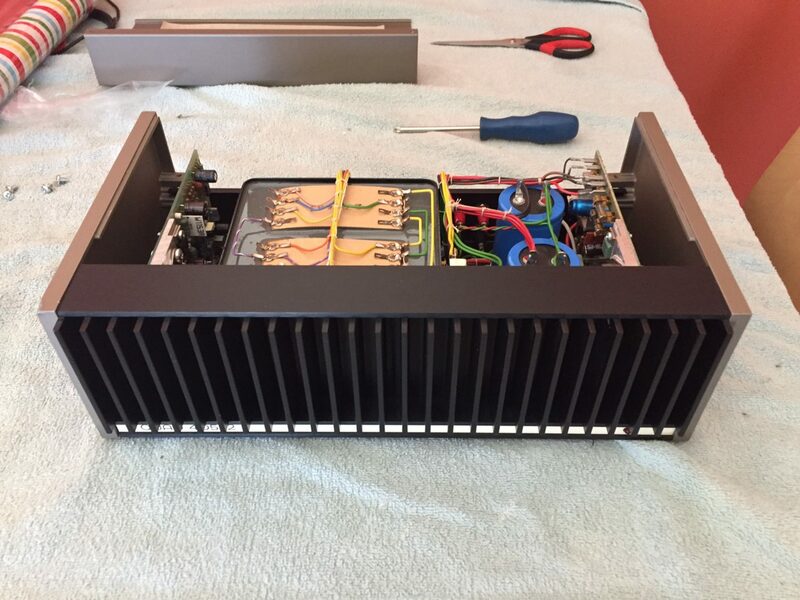 The remaining important mod was to replace the original filter capacitors with modern, higher-spec parts. STC branded 10,000uF @ 63V parts came factory-fitted. I replaced these with premium Kemet 15,000uF capacitors. 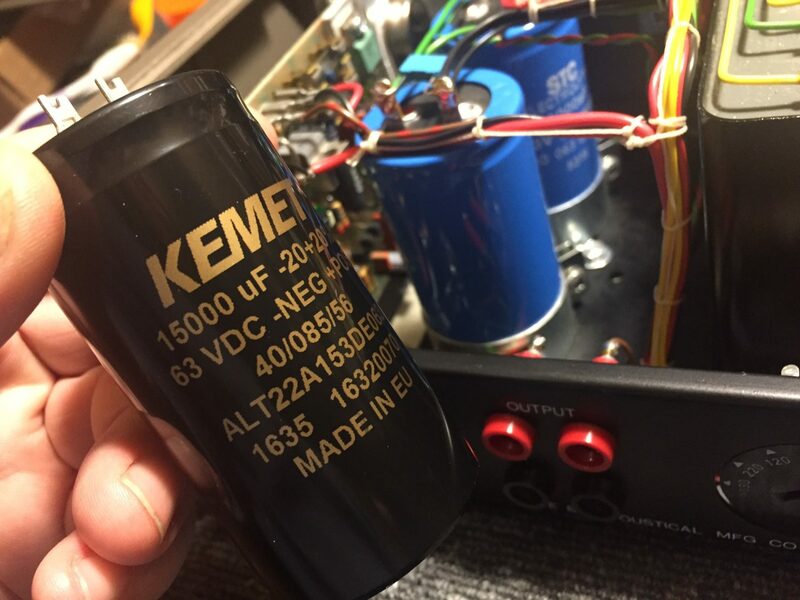 The Kemet parts sound better and are rated for longer service life. Before doing so, I examined the increased inrush current to ensure this was within limitations of the diode bridge. The original STC filter caps measured quite badly. Capacitance was OK, but ESR was quite high for large caps. We should see an ESR of very close to 0 Ohms for large caps, measured using a proper ESR meter. The STC caps measured around 0.5 Ohms, which is too high. The new Kemet parts were as close to zero as you can get, at around 0.01 Ohms, plus they have 50% greater capacitance, so this is a worthwhile improvement. There are a couple of improvement I’ve subsequently made and incorporate into most customer jobs. The first is to replace a couple of ceramic caps in the critical bridge circuit with polystyrene or silver mica parts. Second is to replace the TL-071 input op-amps with the modern TL-2071 equivalent. Other FET input op-amps work as well. I’ve had great success with Texas Instruments OPA-604. 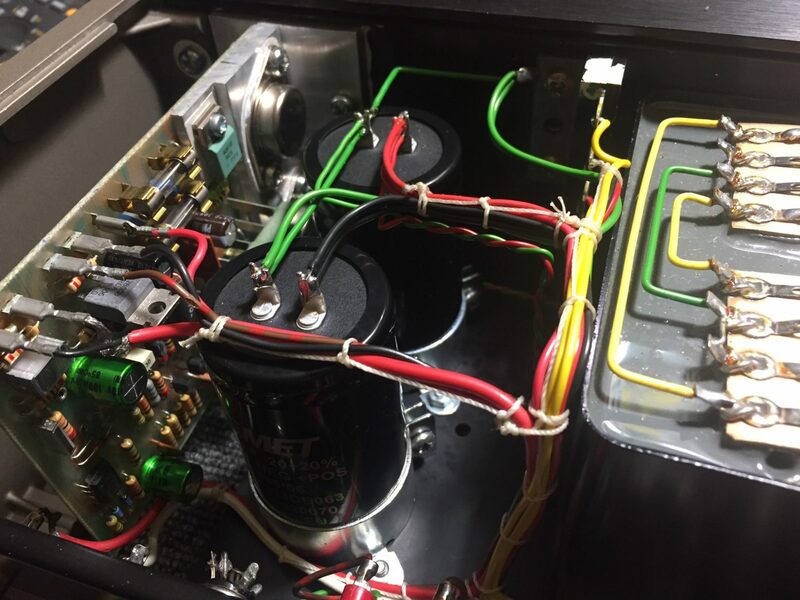 Note, this amp has been modified previously, adding the two RCA connectors on the left, where the rubber service access plugs used to be. Mine has the recessed banana plugs and no power switch! Replacements looming in the background! My goal was to ensure the replacement parts looked factory and to re-use the existing wiring. I wanted to make the minimum number of changes needed to do the job. Part of doing this involved carefully choosing the new caps so they were a perfect size-match. This turned out well, it looks neat and I’m not sure you could tell if you didn’t know what the originals looked like. New filter caps provide greatly improved performance. Another angle on the replacement filter capacitors. The amp sounds remarkably improved with these new filter capacitors. The old ones didn’t test so good, one has quite high ESR. The new parts were as close to zero ohms as one would expect of premium parts. 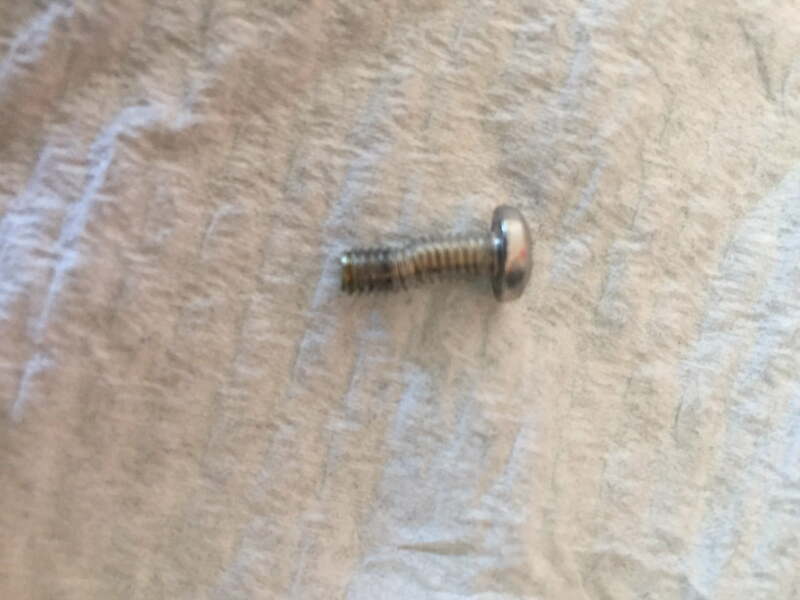 Because of the damage incurred during shipping and also because the original screws just looked old, I decided to replace them with new zinc-plated parts. New fasteners were easy to find at my local fasteners supplier, yours too I’m sure. They made a big difference to the appearance of my Quad 405-2. The last thing is a new side panel to replace the dented one, ordered from Quad UK and on its way. That isn’t here yet and so does not feature in these images – yet! This is what happens to Quad 405 fasteners when you drop the thing on its end! It’s lucky the damage wasn’t worse. New fasteners really lift the appearance of a piece of audio equipment and are much nicer to work with. 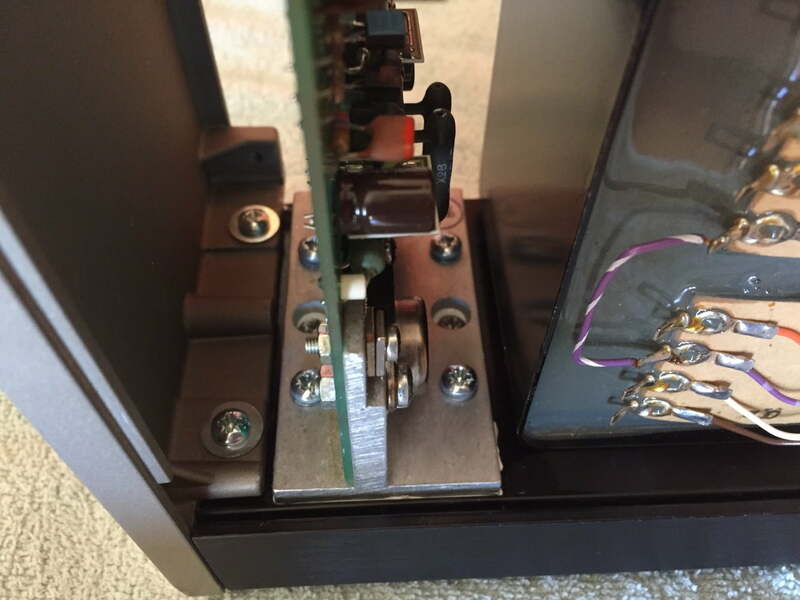 Amplifier modules and side panels secured by new fasteners and washers. Note the original filter caps – I did the chassis stuff prior to changing these. Same for this side. I’ve used fresh thermal paste to mate each module to front panel heatsink. These new parts lift the look of the Quad and are much nicer to work with. The finished amplifier looks and sounds fantastic now, a huge improvement. I will update this page with any other work I decide to do. Since you have done the hard work on this, could you tell me the Mouser part number for the large 15,000 µF capacitors? I have one of these 44/405 Quad combos which I bought on my way to Australia in 1981 and it is still going strong. The only thing I had to replace in 405 were the two pairs of electrolytics (47µF & 100µF) which dried out and made it hum. 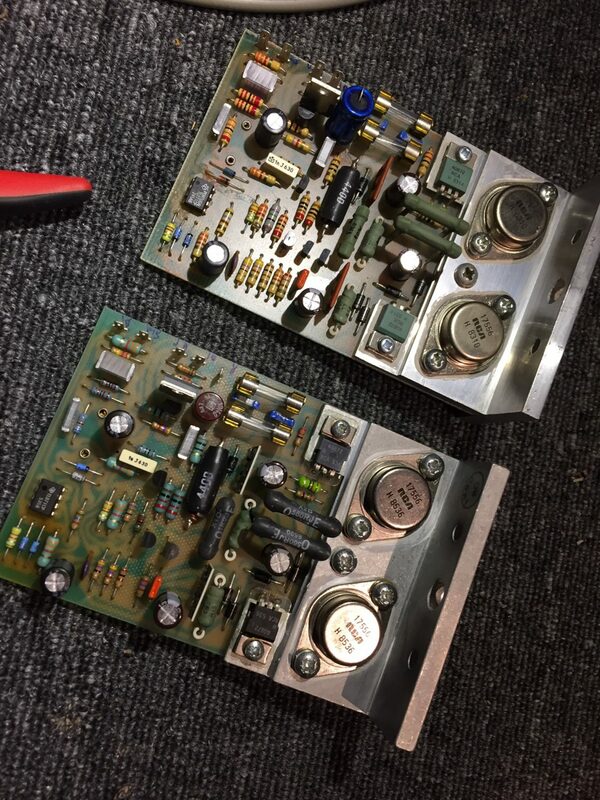 I also fix audio in Wanneroo and it looked bad when my own amp in the workshop badly hummed. Now is much better but when I really crank it up there is still some residual hum which I am hoping these large things will fix. Thanks for making contact and I think we’ve perhaps chatted on the phone before – you rang me about fixing your oscilloscope, was that you? Anyway, that parts order was many orders ago so I can’t tell you what the part number was without some digging around unfortunately. You’ll be able to find these though by taking some measurements and using the parametric filters in Mouser. As I recall, they were about $10 each. 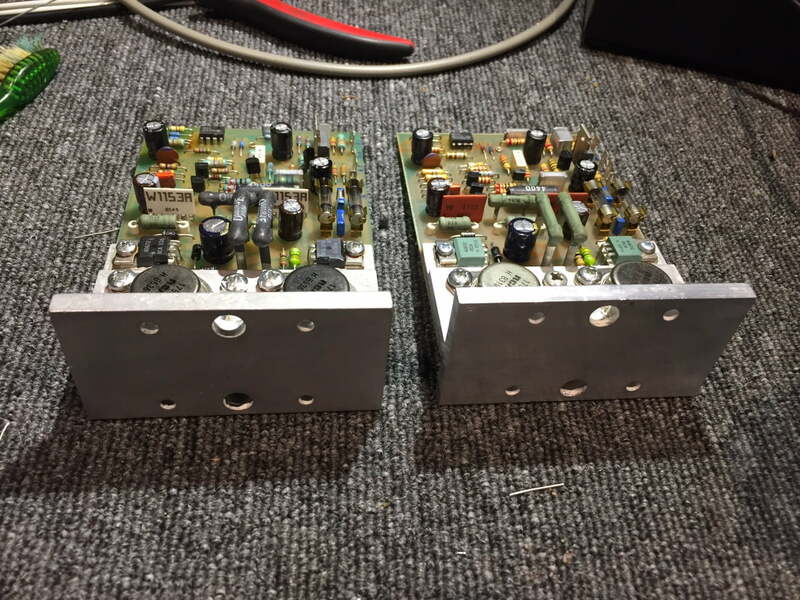 There are of course lots of other options, but Kemet parts are superb quality and these have a lug style that allows re-use of the existing wiring set-up, for skilled solderers! Definitely worth doing. Also be aware (if not already) that the 405 is notorious for hum if its been messed with and not wired correctly. They can hum for example when RCA connectors are changed. Depending on board version, this can be quite an annoyance. 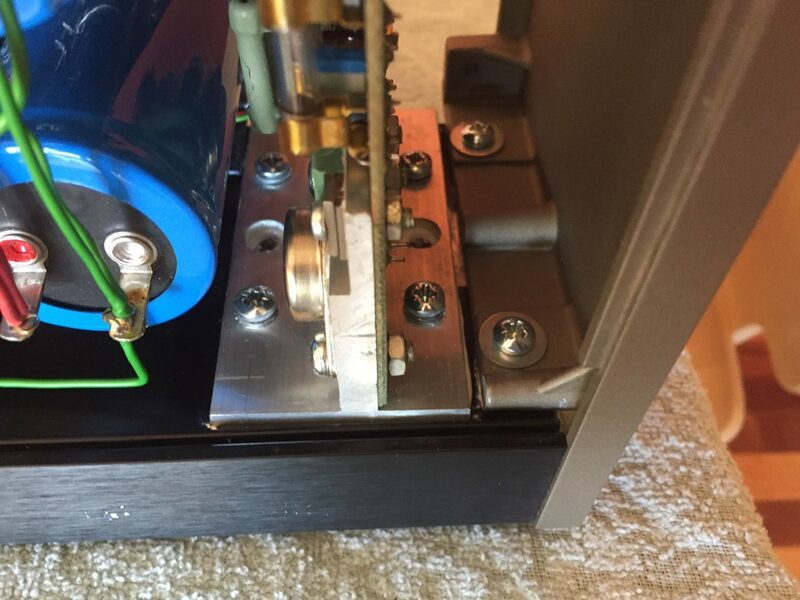 The trick is to pay very careful attention to the schematic for your version and check the ground arrangement and wiring of the RCA connectors. Thanks Mike for your response. Will search for the caps at Mouser site. We did chat one day but I don’t think it was about the oscilloscope. I have two of them and they both work fine. I might have been interested in your Laser power meter. I seem to be mainly fixing CD players and whereas in Philips based machines it is not so crucial, Sony and Sanyo based units have a myriad of pots to adjust and a meter could come in handy (perhaps). They are about $150 to $200 at Wes and I do not know how useful they are. I currently have one of the Roksan Caspian players with Sanyo mech and board and it is time to bite the bullet and start working on it :-). If you have a free afternoon one day, why don’t you come over to Wanneroo for a coffee and a chat (and maybe a glass of the vino)? No problem, yes a laser power meter is a very handy thing to have, I also fix a few CD players, don’t you love the ones with all the adjustments for tracking and focus?! I think the Roksan players are particularly horrible to work on, I hope this one is not too bad for you. I’d would definitely like to drop by for a chat, let me know your details (email me at liquidaudio@iinet.net.au) and we can arrange it! How does it sound on NS-1000?Valve like? Hi. Why did you not upgrade the stock bridge rectifier? It is only rated at 7 amps. 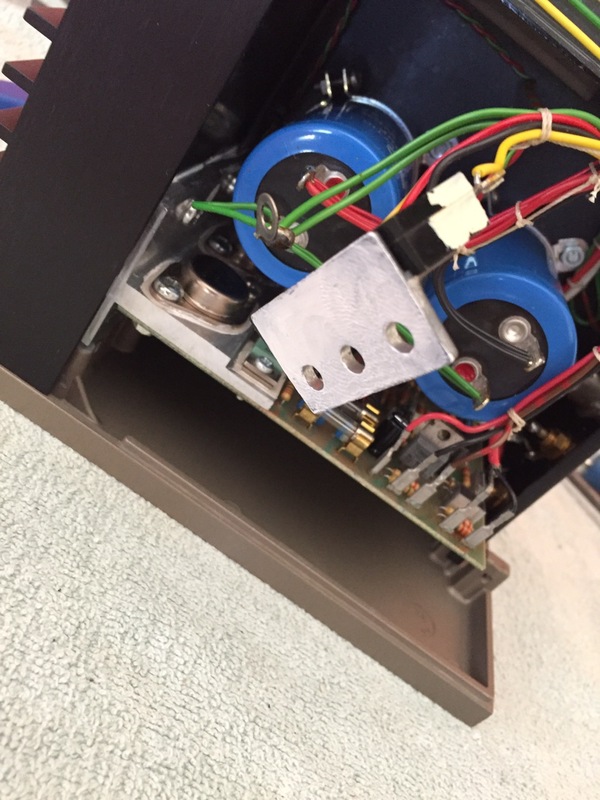 Do bridge rectifiers not affect audio quality? Hi Richard and thanks for your question. There’s a long answer to this and a shorter one, which I’ll try to stick to here. The 405 is rated to draw a maximum current of 2.5A @ 240V, 5A @ 110/120V. I have looked up the bridge rectifier previously and it’s rated for at least 7A, more from memory, but either way, this is way more than the current draw of this amp under real musical conditions. Remember that the rating of 2.5A is for a slow acting fuse, so there’s some integration of current over time there. In the real world, the bridge is just coasting along. In addition, it’s compact and has a nice heatsink tab on it. I always add thermal compound underneath, so that they are really well coupled to the heatsink. 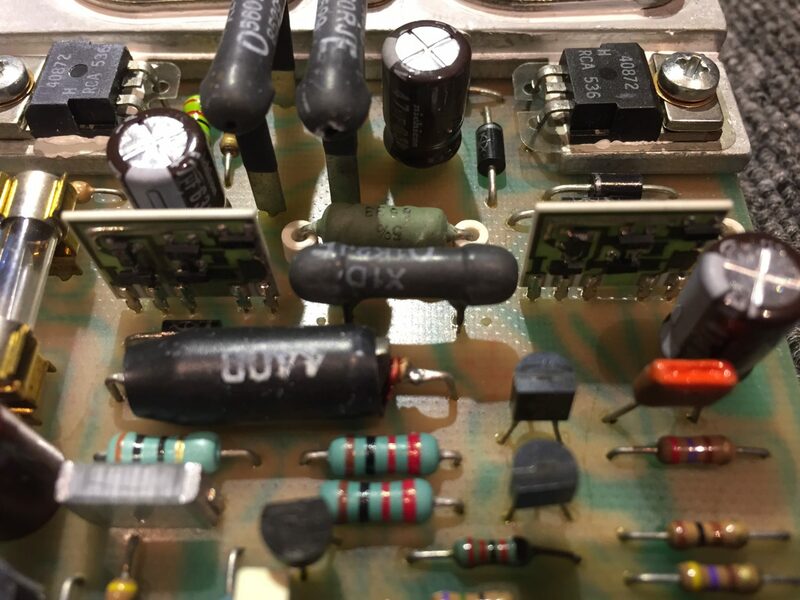 One DOES have to consider the inrush current imposed on the bridge if/when increasing the size of the main filter capacitors. I’ve done the calcs on this and the bridge was good for even the fairly major increase I made on a customer amp recently, to 2 x 18,000uF. This will impose an increased load on the bridge though, so be aware of this. In terms of ‘upgrading’ parts, we really do have to be careful and focus on the science. Other bridges won’t really sound any different to this bridge, but what we do around the bridge is important and will affect the sound. 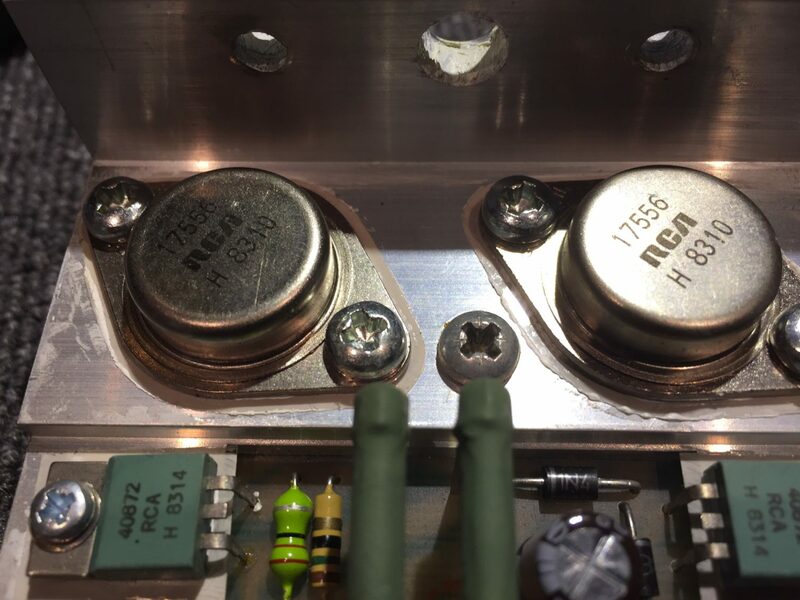 For example, installing snubber caps across each diode in the bridge is an excellent idea and will improve the sound of the amp overall. Thanks again for visiting and don’t hesitate to ask more questions if you have them! Thanks! 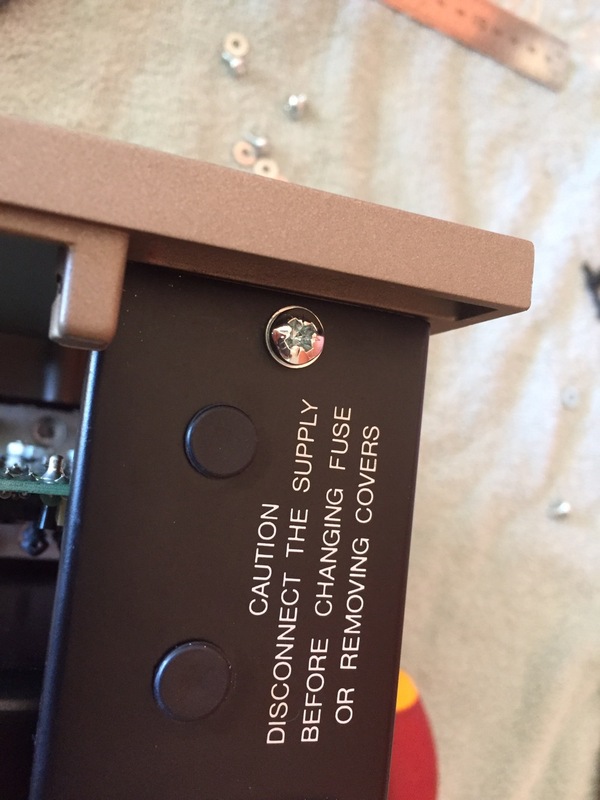 Concerning the 15000uf caps, i was told big caps are slow to charge and discharge therefore give a slow kind of sound, that paralleling a few small caps is better as these are faster. Naim audio do this as mentioned on their site. Do you think there is any merit to this, perhaps at higher frequencies. 2. There is the advantage of lower esr and higher ripple current with paralleling, do you think this may help to increase sound quality. Hi Richard, thanks for your questions. Unfortunately, these comments that people make, such as that big caps are slow to charge or sound slow are just not technically or actually correct. 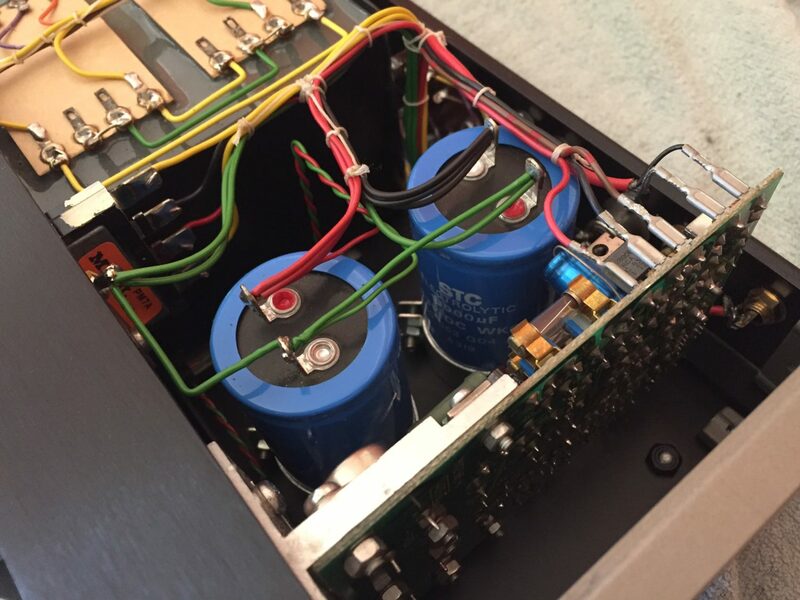 The capacitors stay charged while the amplifier is running and in terms of speed, some of the worlds greatest amplifiers, like those made by Mark Levinson, Krell, Accuphase and so on, use a small number of very large caps, to great effect. These amplifiers definitely cannot be classed as slow in any sense. More capacitance is generally a good thing though, and this can be achieved by multiple small, or a few large caps. 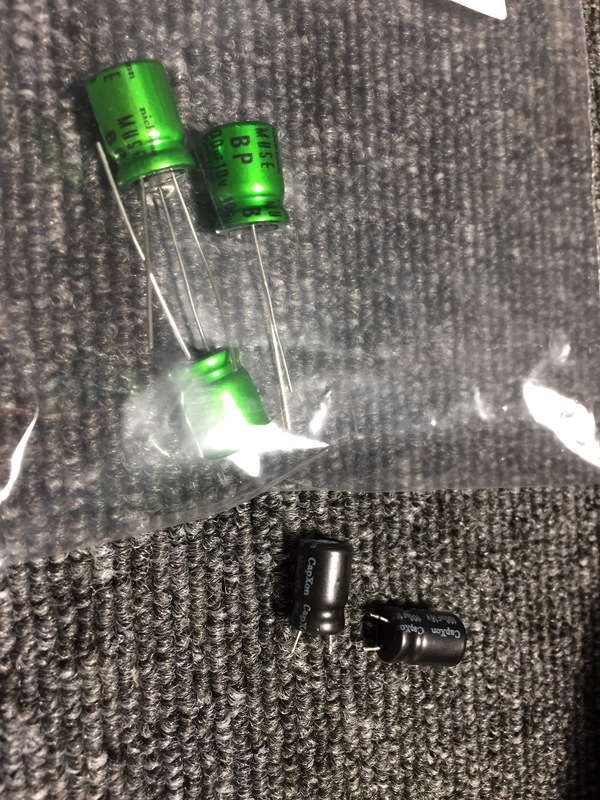 Smaller caps are cheaper and easier to implement in a circuit, this may explain why some manufacturers have gone down this route. Multiple good small caps will also present a very low power supply impedance which is a good thing. Super low impedance, ESR and high ripple current can also be achieved with correct board layout and implementation of a few very large caps, so no real advantage there. Both can achieve the desired outcome if correctly implemented. 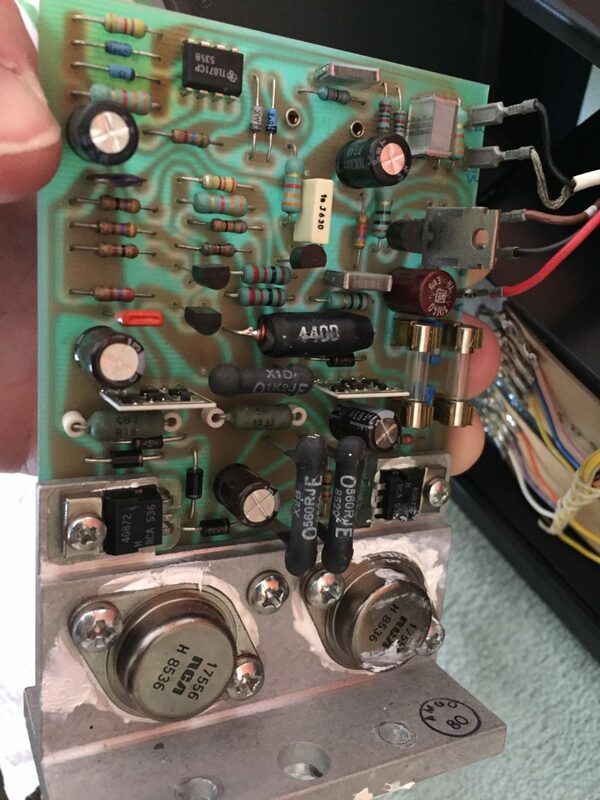 I have a 405 and a 303 and I connect the power plug from the 405 to the back of the 303, so when I turn the 303 on it also turns the 405 on. but the 303 mains plug says max. 2A. and the 405 as you mentioned gets to 2.5A maximum current. 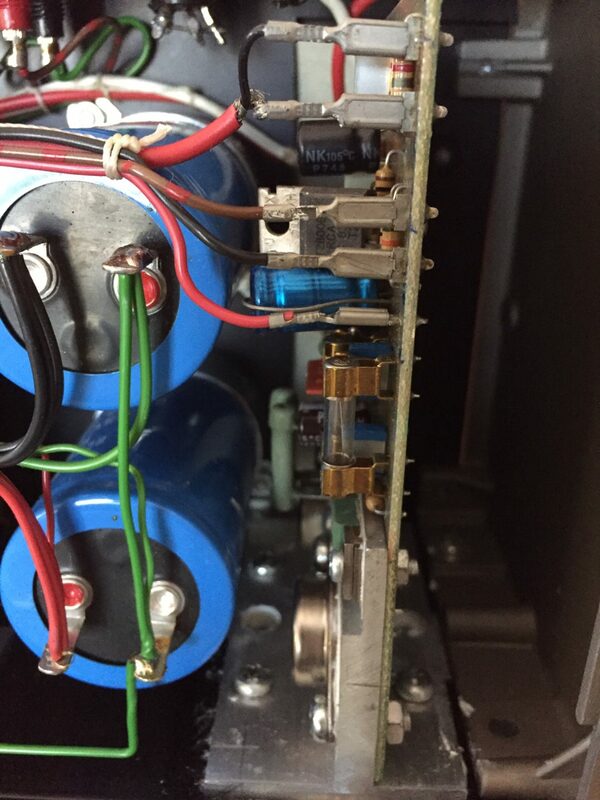 do you think this can be an issue to the power circuit of the 303? Hi Filipe, no I think that this arrangement will work OK. Better to give the 405 it’s own separate power of course, but if you leave it as is, the 303 should be fine. 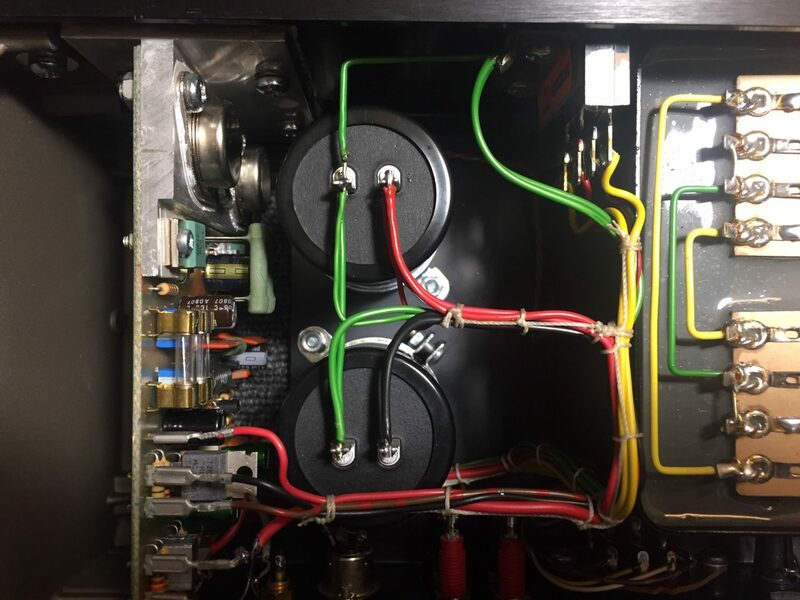 Hi Filipe, the 303 is a fairly simple pre, but the usual areas should be addressed – switches and controls, caps which tend to leak in these, power supply and so on. There are a few useful improvements that can be made. Be careful as leaking caps often cause board damage, which must be repaired. What are components which are included in the Quad 405-2 upgrading kit and what’s the cost of it? Also let me know the difference between 405 – 2 and 405 – 3? Hi Lalith, thanks for your message. There is no Quad 405-2 kit, we don’t sell kits for a few reasons, check out my FAQs for more on this. The work we do is tailored to suit the customer and equipment. I am happy to improve your Quad 405 for you, but I’d need it here to be able to do that. If you live locally, get in touch when I reopen after January 15 and I’d be very happy to chat about your requirements!